I’ll admit up front that I’ve been slow to post all of my recipes from Cinco de Mayo this year. 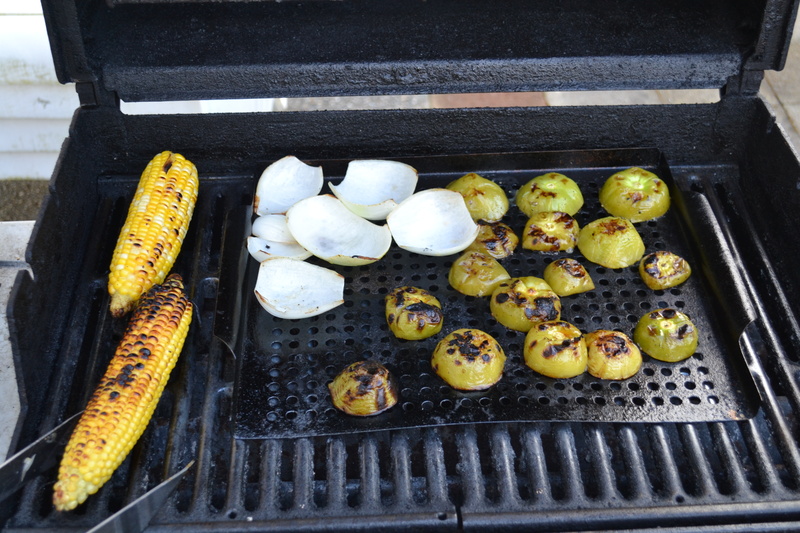 As I mentioned in the introduction to my recipe for grilled tomatillo salsa a few days ago, I tried a number of new recipes last week, but have since shirked my blogging responsibilities. Aside from the green salsa mentioned earlier, I also came up with a grilled fish recipe (to be posted soon) that was accompanied by the slaw described here. 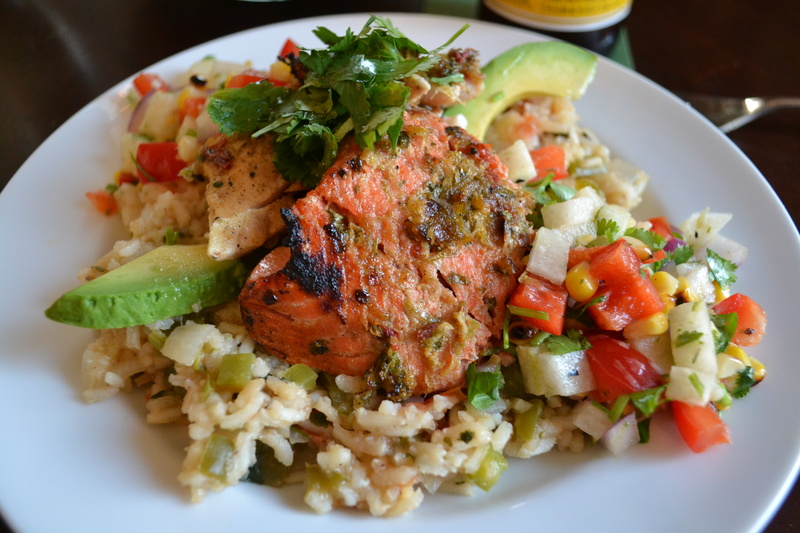 This is a simple recipe that went very well with the grilled fish. I consciously chose to leave the jalapenos – and other spicy ingredients – out of the recipe in an effort to balance the spice of the fish marinade, and emphasize the clean and simple flavors of the ingredients herein. The first thing you’ll notice about this salsa is the crunch. Whether eating it atop tacos, as we did last week, or simply scooping it up with tortilla chips, the texture of the jicama is the star of the dish. This Mexican tuber has a starchy feel of a potato, and the pleasant crunch of a water chestnut. The mild, combined sweetness of the raw jicama, bell pepper, and roasted corn is enhanced by the sweet acidity of the lime and herbaceous pungency of the cilantro, making the complete slaw a wonderful complement to the salty and spicy fish. Coat the corn with the oil, salt and pepper, and grill it for 8-10 minutes over medium heat, turning frequently. The corn should develop a nice char, just make sure to turn it frequently so it doesn’t burn. Carefully cut the kernels off of the cobs. Dice all of the vegetables so the pieces are roughly uniform to the size of the kernels. Finally, give the cilantro a rough chop, and toss all of the ingredients together with the lime juice and zest in a large bowl.